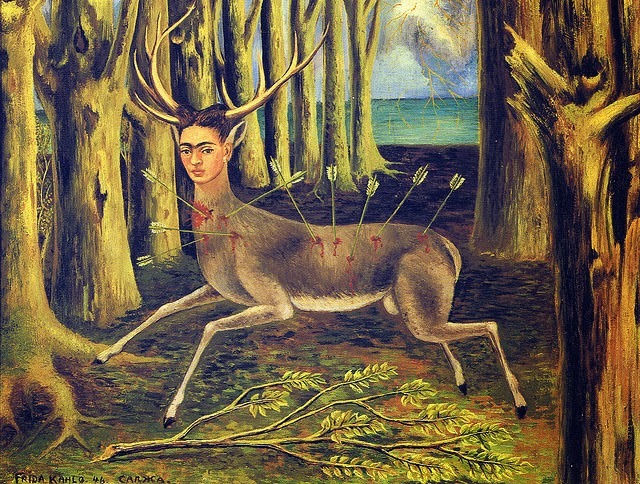 Frida Kahlo’s paintings have become so much part of popular culture that it is possible to forget just how great they are. 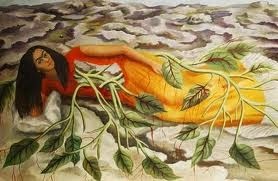 Her Venus is in Gemini, the sign of the storyteller, and it is closely conjunct Pluto, the planet of transformation. Her self-portraits tell the visceral, sometimes painful story of her life. She tells all the truth but she tells it slant — through myth, imagery, ellipsis. Venus in Gemini: she liked pairs. 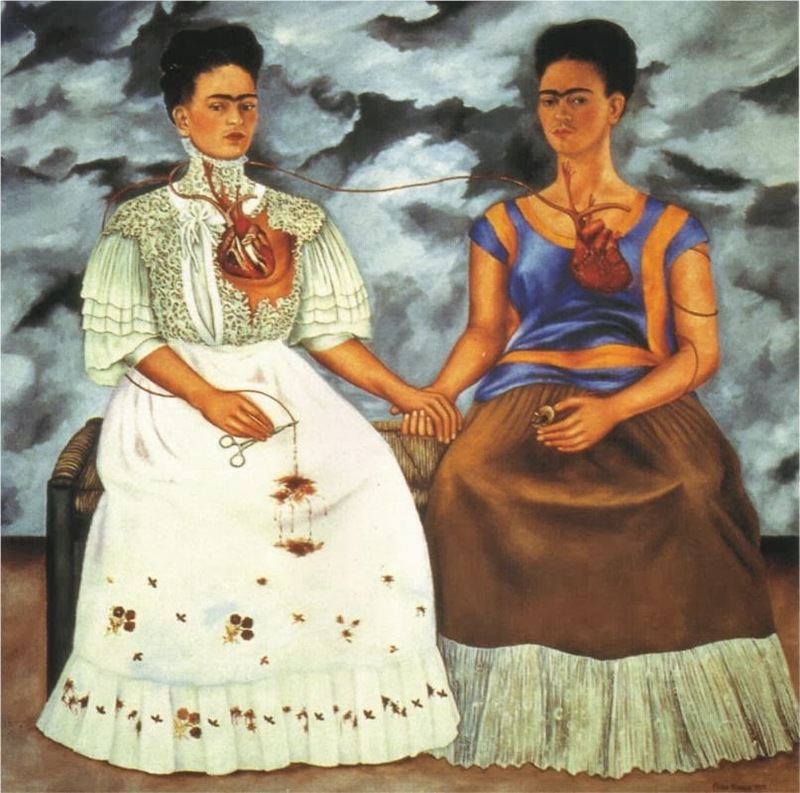 Pluto conjunct Venus: she painted personal transformation — and pain. 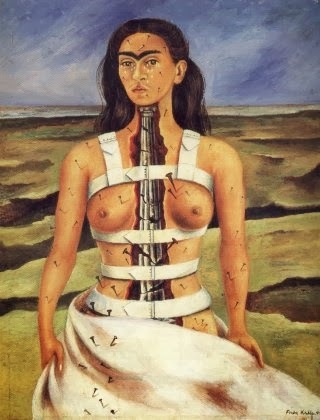 Kahlo was in pain most of her life after a freak accident on a tram, which impaled her and meant she had to wear a brace. She was unable to have children as a consequence. Venus/Pluto sextiles the Leo Ascendant. 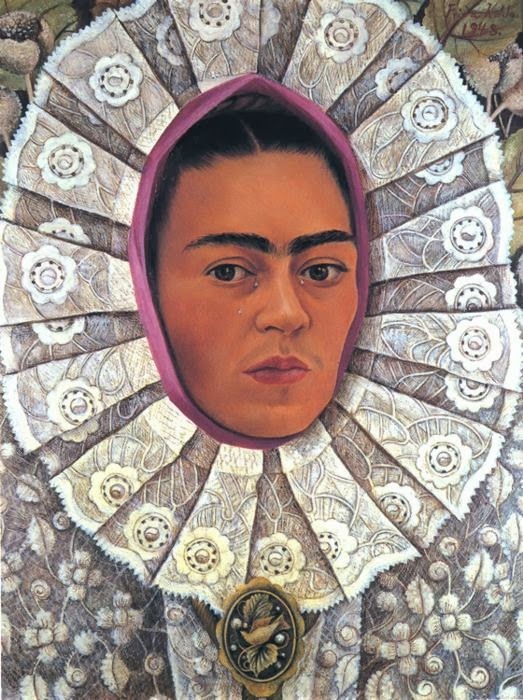 She is most famous for her numerous self-portraits. Leo is the sign of self-expression, the Ascendant is the face you show the world. She had to make those paintings. 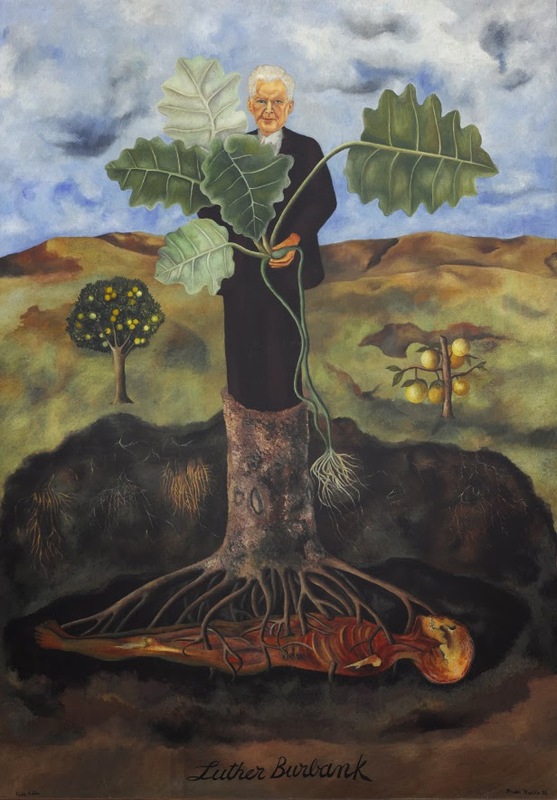 With her Venus/Pluto in Gemini, only Frida Kahlo would think of painting a portrait of a famous botanist like this one. For more about Venus in Gemini, click here. (possibly the best collection of pictures by Sun sign), click here. 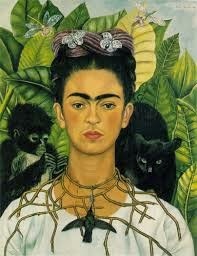 Strange – her eyebrows strike me as the wings of Mercury. 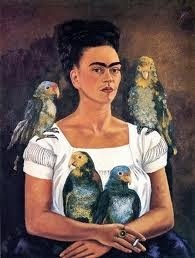 Of course Mercury is the winged one, that is why her eyebrows look like wings. It is just something I saw in a flash. Where in her horoscope would you see her accident ?? Uranus conjunct Mars ?? yes. Her accident was on 17 September 1925. Transiting Jupiter was at 12° Capricorn conjunct natal Mars-Uranus and Pluto was at 14° Cancer conjunct her Sun. Uranus was at 23° Pisces sextile and trine all that but precisely trine her North Node – sometimes a trine ain’t so grand. And there’s more, Neptune was at 23° Leo exactly on her ASC. That’s crazy powerful outer planet transits to personal stuff, but you still need some triggers right? Tr Mars was at 23° Virgo directly opposite tr Uranus, so that created a T-square to the natal Venus-Pluto. Mars and Uranus can be very nasty together. She must have felt very wounded that her chances of becoming a mother were lost because of the accident, her Sun and North Node being in Cancer. Chiron in 6th house made her heal through her work as an artist. What do we know about her BM Lilith? I was looking at the picture of her with the monkey and panther on her shoulders, the bird across her heart — and that steady, heady unflinching gaze — and Lilith popped into my mind. It’s at 9° Cancer, so right opposite Uranus — and conjunct Sun/Neptune!